On Tuesday, August 21st, the Landmark Preservation Commission hosted their 34th annual Friends of Preservation awards. The DDA (Downtown Development Authority) was one of the recipients. What follows is the introduction I read before the DDA representatives received their award. 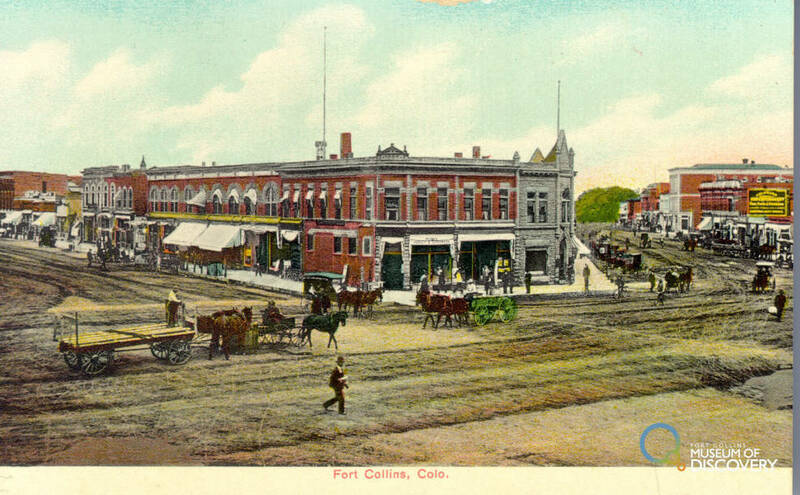 If you take a look back at early photos of Fort Collins, one thing that’s evident in many pictures of our commercial downtown is that pedestrians, bicyclists, and sometimes even the carriages and automobiles, were pretty much all over the road. Because we hadn’t fully entered the car-age yet, the streets belonged to the people. And if you saw a friend or neighbor across the way, you wouldn’t hustle down to the intersection to cross the street. You’d just cross from right where you were at. 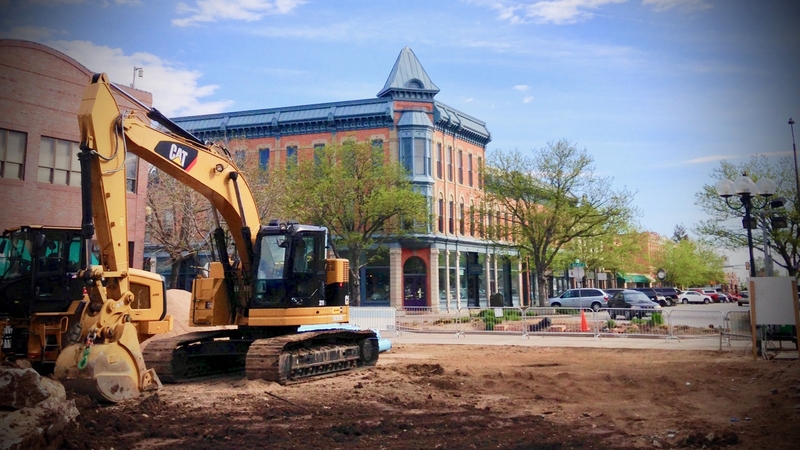 It’s no longer safe to have that level of freedom on the streets of Fort Collins, so in the 1980s, when Gene Mitchell, Jim Reidhead, and Ray Dixon promulgated the idea of “Old Town Square” taking over a block of Linden Street, they were suggesting a way for residents to reconnect with that historic sensibility of streets being for the people. But our downtown area was in need of a lot of rehabilitation at that point and impeding the view of the 200 block of Linden seemed like a wise decision at the time. Over the years, however, thanks to public/private partnerships supported by the DDA as well as historic tax credits and other incentives, our historic district has been lovingly rehabilitated and now it really shines. When the DDA determined to refresh Old Town Square, they recognized that what made sense in the 80s was no longer appropriate for the Twenty First Century. By removing the ginormous evergreen tree, the building in the middle of the square (bike library), and the tall strip of seating and planters, the DDA has opened up this public space – making it even more inviting than it was before. 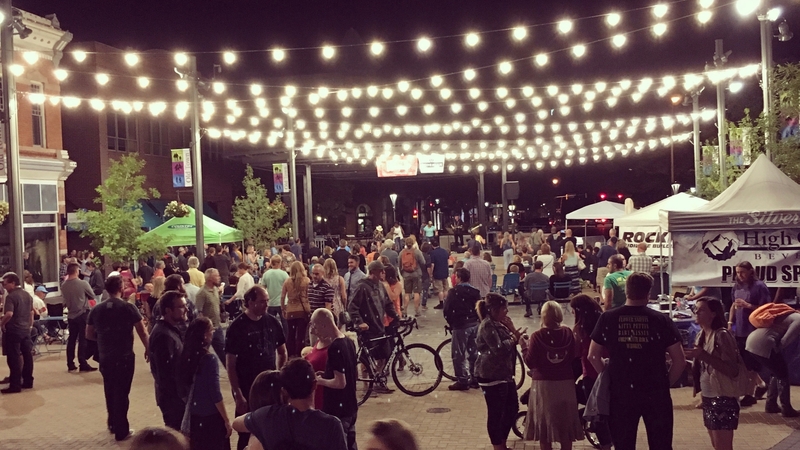 The Square is a marvelous place for people not just to pass through, but to sit and soak in the artwork, the liveliness of children playing and people chatting, and – most near and dear to our hearts – the incredibly gorgeous historic district that epitomizes the cultural and historic roots of Fort Collins. 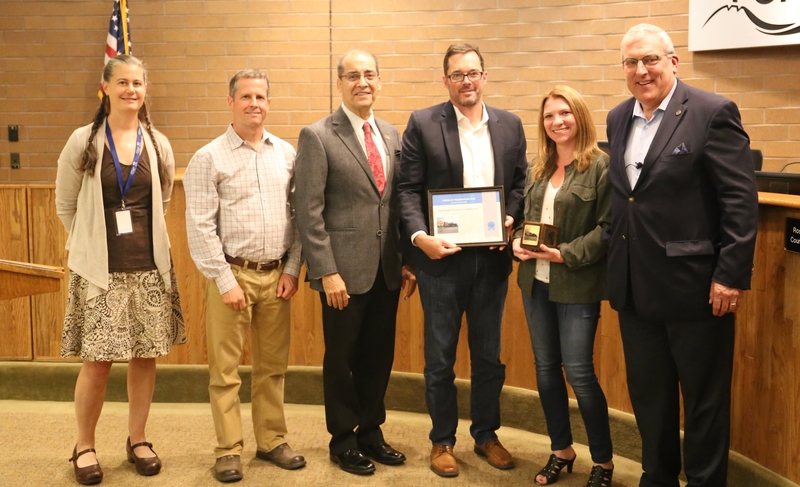 The Landmark Preservation Commission wants to thank the DDA today by presenting them with a Friends of Preservation Award for Renewing the Heart of Our Premier Historic District. Thank you. Crowds enjoying Old Town Square under the lights after the refresh. Old Town Square during its transformation. Learn more about the creation of the Old Town Historic District in this Northern Colorado History article: The Old Town Historic District – Fort Collins, Colorado.